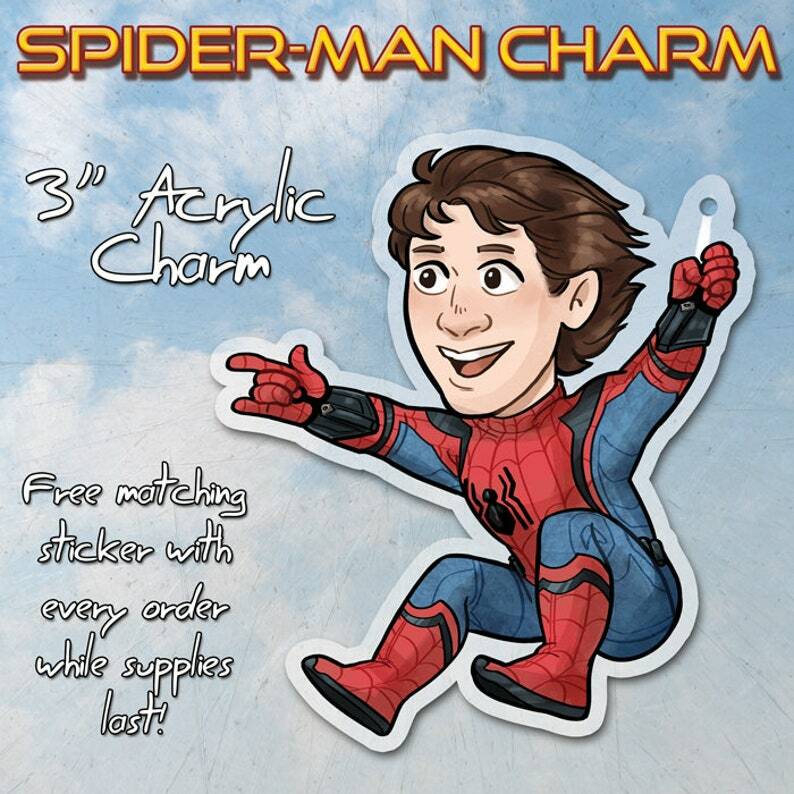 The charm is approximately 2” at its widest point (not including keychain itself). The acrylic is clear and the keychain attachment will be a white phone strap. Regular keychain attachment is possible also. All preorders receive a FREE matching sticker while supplies last!